You know those businesses that you deeply respect because... they do the hard, dirty work for you? Scott Systems is definitely that team. Don't let this 'dirt under the finger nails kind of company' fool you though - they are all about fabulous marketing! Janet, owner, came to us wanting a fresh site with new imagery, a clean layout and a new way of capturing who they are and what they do. 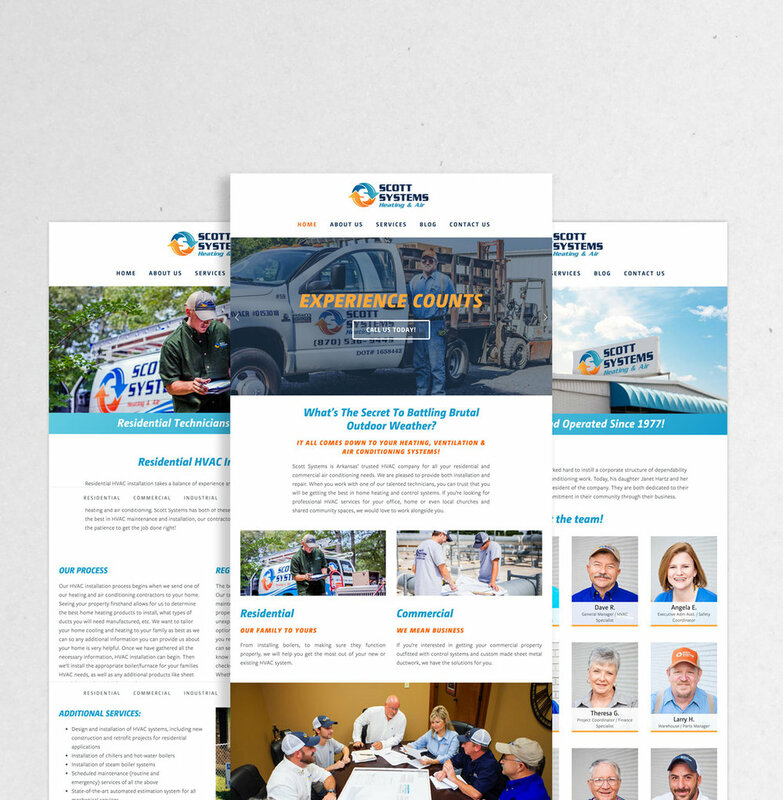 While dreaming up their site map, we knew we wanted to highlight their emergency response services, dynamic team and quick quote calculator. Their overall story was not hard to tell - I mean come on, they've been busting out HVAC since 1977. Needless to say, Scott Systems is an amazing company who inspires us to be just as hardworking and putting our clients needs first! We like to say, if it 'aint broke, Scott Systems can still make it better!